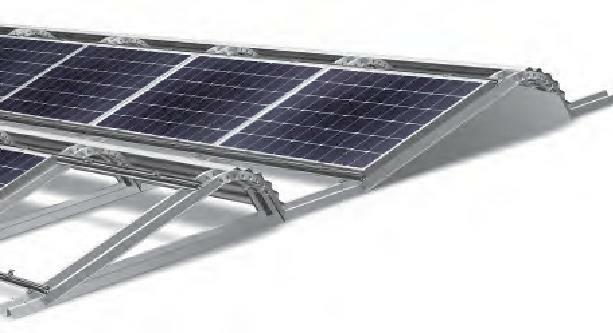 With the option to specify the tilt angle, to mount solar panels in both portrait and landscape and the ability to secure both framed and unframed solar panels of most sizes; the FlatFix flat roof solar PV panel mounting system can be utilised in most flat roof and flat ground situations with or without ballast. 10 Year guarantee. The FlatFix Light has been designed to meet both the structural and additional weight load considerations when mounting solar panels on large flat commercial roofspaces and the demand from project managers for straightforward system planning, reliable components and reduced installation time.